microphone systems, in-ear personal monitoring systems, conferencing and discussion systems, networked audio systems, award-winning earphones and headphones. Today, Shure products are the first choice whenever audio performance is a top priority. 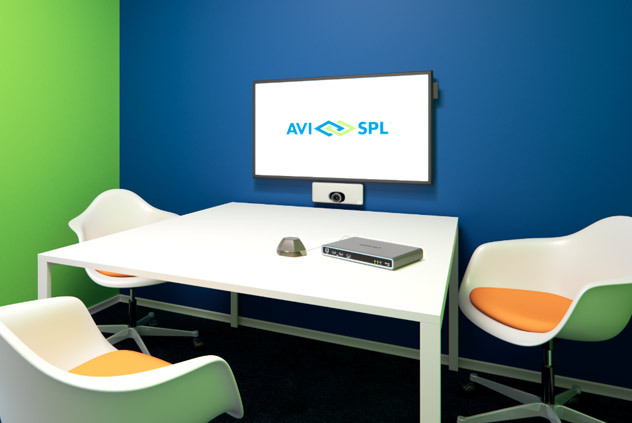 As the world’s largest and most trusted AV integrator, AVI SPL partners with innovative sound technology manufacturers – like Shure – to give you access to the best audio solutions in the industry. Shure's Intellimix DSP suite activates the appropriate microphone channel depending on who is talking. Eight Shure push-to-talk microphones are housed at four laptop-equipped tables, and two more reside at the EOC managers’ work area and the control area. AVI-SPL and Shure work together to transform ideas into great customer experiences. As one of the most trusted manufacturers of audio equipment worldwide, Shure provides sound solutions for every need – from conferencing, to educational institutions, to government facilities, and professional sound installations. No matter the size of the space you are meeting in, audio is an important component. Clear audio enables effective collaboration every time.